"Thanks for sharing your lovely home. Fantastic kitchen and view! Also, nice decorating touches. It's immaculate! A great time!" "We loved your place. Beautiful and comfortable"
"Perfectly lovely place  leaves nothing to be desired  you have lovely taste in decorating  view is wonderful. Only wish we had planned to stay longer"
"We enjoyed staying at your place  it's beautiful. We especially enjoyed the ping pong and the snow." "We had such a wonderful time celebrating not only our family reunion but our Grandmother's 80th birthday. Your home was cozy and we spent lots of time in your roomy kitchen sharing priceless family stories. Enjoyed the scenery. Thank you." "We said we would come back and we did. We hope to come back next year because we had a wonderful time." "We are back. 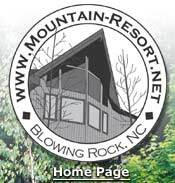 Our Bridge Club has renamed itself the Blowing Rock Bridge Club because we love it here so much! This year was the best weather ever, and we spent lots of time on the deck! The whole weekend was filled with great memories of great times with great friends." "We have been here for 3 days and have had a very relaxing time. 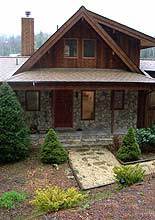 We have been to Blowing Rock before and this is the nicest place we have stayed."